Spreading In The Light is the newest EP from Los Angeles based artist Shanee Pink. The 5 track EP features a song of the same title and other really catchy, upbeat songs that you will have stuck in your head for days. Pink is definitely one artist to check out and I look forward to seeing what she releases next! 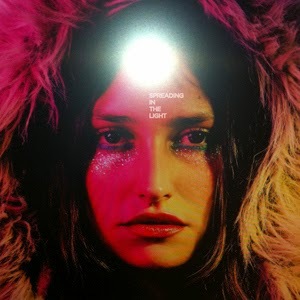 You can buy Spreading In The Light on iTunes and Amazon.co.uk /.com. Also, check out the video for her single Spreading In The Light HERE. Want to keep up with Shanee's updates? If so, visit her website or follow her on Twitter, Instagram and "Like" her page on Facebook.